Australian Lifting Supplies. Gym Apparel, Supplements Accessories, Watches and More. You will love the taste and your body will be loving the cleanse every day. Just add one teaspoon to your favourite drink every morning. Purchase this product now and earn 1,898 Points! 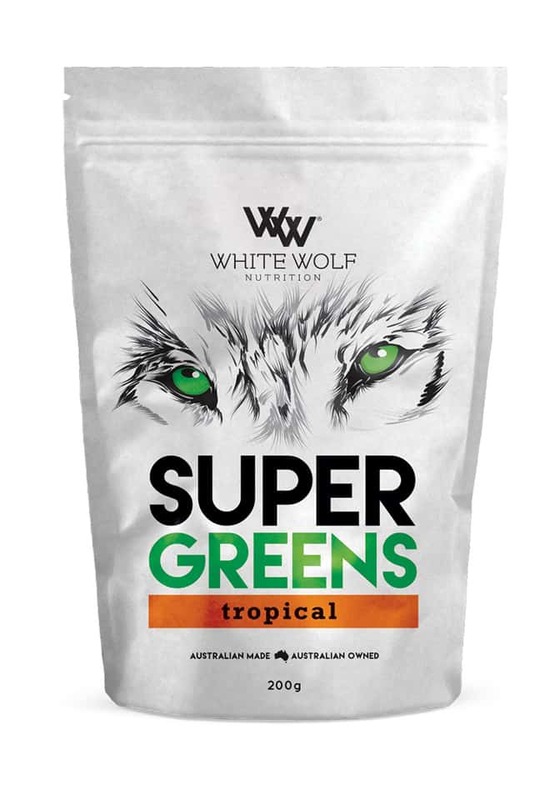 The Tropical Super Greens formula by White Wolf Nutrition is one of our favourite for getting your bodies PH levels back in order. You already know that you need to eat more greens and your body craves the goodness they provide. But it isn’t always easy to stock up on fresh vegetables and prepare them every day. Now you don’t have to. The Super Greens formula by White Wolf Nutrition ticks all the boxes and tastes great too. Wheatgrass contains minerals, vitamins A, B-complex, C and E. It is extremely high in protein and contains 17 amino acids. It has been shown to assist in removing toxins and heavy metals from the body. 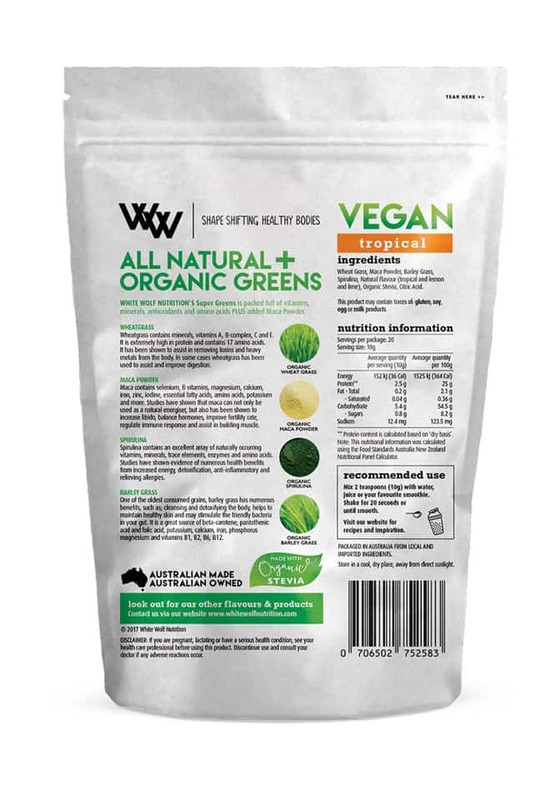 In some cases, wheatgrass has been used to assist and improve digestion. Maca contains selenium, B vitamins, magnesium, calcium, iron, zinc, iodine, essential fatty acids, amino acids, potassium and more. Studies have shown that maca can not only be used as a natural energiser but also has been shown to increase libido, balance hormones, improve fertility rate, regulate immune response and assist in building muscle. Spirulina contains an excellent array of naturally occurring vitamins, minerals, trace elements, enzymes and amino acids. Studies have shown evidence of numerous health benefits from increased energy, detoxification, anti-inflammatory and relieving allergies. One of the oldest consumed grains, barley grass has numerous benefits, such as; cleansing and detoxifying the body, helps to maintain healthy skin and may stimulate the friendly bacteria in your gut. It is a great source of beta-carotene, pantothenic acid and folic acid, potassium, calcium, iron, phosphorus magnesium and vitamins B1, B2, B6, B12. 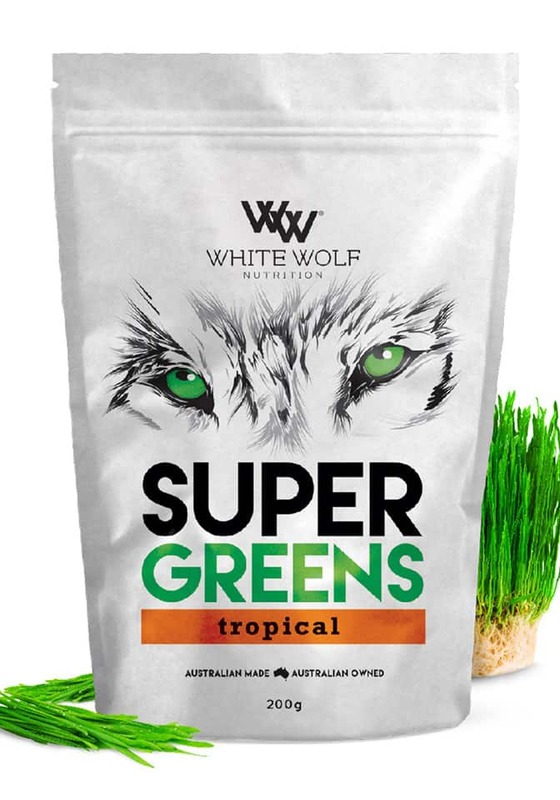 For those who are in need of a great supplement first thing in the morning with all the vitamins, Super Greens is the one for you. Grab a pack or two today and experience the difference for yourself.